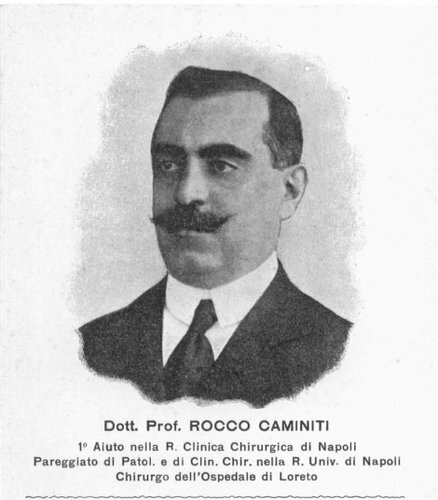 A famous surgeon and author of several scientific treatises, Rocco Caminiti (Villa San Giovanni, 8th June 1868 - 4th October1946) was awarded the Silver Medal for Civic Merit for his deep engagement in the care and treatment of people wounded during the earthquake in 1908. He was also elected member of the Italian Parliament and then mayor of the town of Villa San Giovanni during the difficult times of World War I. He was the founder of Casa di Cura Caminiti.